Have you ever heard of infant massage? As in massage that is done on an infant using the right technique, not just those haphazard up and down movements that you do on your little one’s legs then call it a massage (well, atleast that’s what I did on my sons when they were infants). When I used to massage my boys, I used to do so mainly to get them to stretch their legs, and just to bond with them as I gazed into their pure white eyes and they in turn gazed into my weary red eyes filled with lack of sleep. But it is only recently that I have come across information about a certain technique to massaging infants that has a much wider range of benefits for both baby and mom/dad. I learnt of this through a lady I met last week, and her name is Susan Muriithi of Toto Touch. In a conversation we had over coffee, she explained to me what exactly infant massage is, and though there were no practical’s (Ello is no longer and infant), I wished that I had met her before. But before I go on, let me elaborate more on infant massage. It is the art or method of lovingly stroking your baby in a sequence of moves that help strengthen the bond with the baby, as well as enhance baby’s growth and healthy development. Susan tells me that there are over 45 strokes involved in infant massage, which are all easy to learn and so much fun to watch and do –especially when you see how your little baby responds. Infant massage helps relax babies and helps them sleep better. And when the little one sleeps well, then both mom and dad are happy, because we all know how frustrating it can be when a baby refuses to sleep. Especially for new moms! (ask me, I so know this). So anything that can help baby sleep better is more than a welcome relief. So what are the other benefits of infant massage on baby? The massages by the way are done on the baby’s legs, feet, abdomen, chest, arms, face and back. Benefits of infant massage for parents. As a parent, you learn to understand and respond to your baby’s cues. You learn the techniques necessary to comfort, calm and soothe your baby. It provides an additional avenue for close nurturing and contact. It generally is an amazing tool for helping parents become closer to their babies. 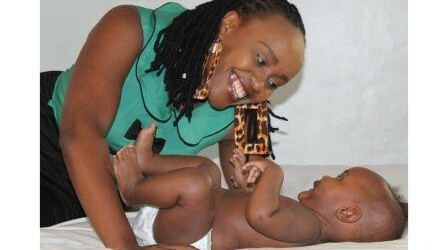 Infant massage is Susan Muriithi’s forte. She trains both moms and dads on how to massage their little ones, for the clear benefits of both. Susan is a Certified Infant Massage Instructor (CIMI), a Lactation/Breastfeeding Consultant, and a Registered Nurse. 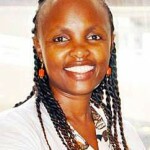 She is also the Chairperson of International Association of Infant Massage Kenya. As a nurse, and as a mother herself, Susan is able to combine her professional expertise and personal experiences to offer well-grounded services to both infants and their moms. She believes that every parent should experience the benefits that come from early bonds that are loving, healthy, and secure, and one of the best ways to achieve this is through infant massage. So if you are a new mom, or know of a new mom or new parents who can benefit from learning how to massage their newborn, then get in touch with Susan. She offers private lessons to moms and couples, or if you are in a group of new moms in the same neighborhood or chama, then having her over would be such a great ‘plan’ as you would learn together. It would also be a good ‘gift’ to a new mom incase you’re lost of ideas on what to get her. During a baby shower, you can also let the expecting mom know that you will have Susan teach her how to massage her newborn when the time comes (Susan by the way is also a lactatian who teaches new moms how to properly breastfeed their newborns so she’s quite an invaluable resource for new moms). Here are some testimonies from parents who have done the infant massage with Susan. “After the stomach massage, Milles passed a lot of gas and 3 diapers of poooh one after the other, and he was soo relieved, and slept for many hours.Susan is doing a great job and all mothers especially with infants should contact her. first time moms will also benefit a lot. 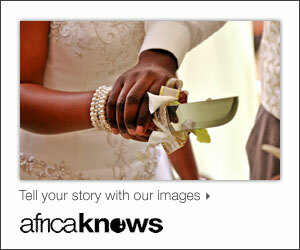 am a blessed mom and i enjoy massaging my son everyday.” –Maggie. 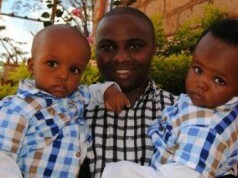 “All those with problems of colicky babies and babies who groan and strain, Susan Muriithi can help. She is a certified infant masseuse (sp). She comes to your home shows you how to do it and when. Vital parts to touch and bonding techniques. Better allow her to help. She helped me massage my son in the morning and he is so relaxed now…no more groaning and straining and he is still asleep.” –Carol Nekesa. So if you want to try out infant massage, then get in touch with Susan. She’ll sort you out. Susan is certified by the International Association of Infant Massage. NB: Additional info from Infant Massage USA. Susan is sure doing a super job with new mothers.If my kids were infants,I would definitely seek her services! Kudos Susan the massages were so helpful,mums out there give infant massage a try..